While he was alive, Layne Staley was a known American music artist who played as a lead vocalist, guitarist, and co-songwriter for the rock band, Alice in Chains. He was one of the fore frontiers of the group and he also played for other musical bands including Heart, Mad Season, Second Coming, and Class of ’99. Get to know more about the music artist in this article, including details of how he lived his life and his death. Born as Layne Rutherford Staley on the 22nd of August 1967 to Phillip Blair “Phil” Staley and Nancy Elizabeth Staley, in Kirkland Washington, Layne was a child who despised his middle name and took hatred for anyone who called him Rutherford. In fact, as he grew, he took up the name Thomas as a teen. Unfortunately for the singer, his parents got divorced when he was 7 and he was raised by his mom and stepfather, Jim Elmer. Despite that, Layne Staley was raised as a Christian scientist, he criticized Christianity and referred to most of their beliefs as hypocritical and unimaginable. His parent’s habit of listening and singing of various music records is said to have influenced his choice of career and at the age of 2, Layne mumbled and sang along with B.J Thomas in his song Raindrops Keep Fallin’ on My Head any time the song was played. Also, records have it that, the track was his favorite song. He later joined a rhythm band in Bellevue when he was three and was also noted as the youngest person in the band. At the age of nine, he wrote an essay of how he wanted to be a singer. Regarding his education, Layne was a student at Meadowdale High School. Sources say that for a while as a high school student, he was known as Layne Elmer. By the time Layne was twelve, he had already mastered the crafts and twists involved with music and was already a guru when it came to playing the drums. With his excellence with the drums, other bands invited him to play with them and in 1984, he became a member of the band Sleze, currently known as Alice in Chains. Joining the band Alice and Chains became one of the platforms, Layne used in gaining popularity. With the band, he released several albums including Facelift (1990), Dirt (1992), and the eponymous Alice in Chains (1995). Apart from his influence in the band, Layne was one of the fore frontiers who saw to the many successes of the group, in fact, a few make reference to him as one of the brain boxes of the group while he was alive. Meanwhile, Staley was also active with other bands including bands like Heart, Mad Season, Second Coming, and Class of ’99. 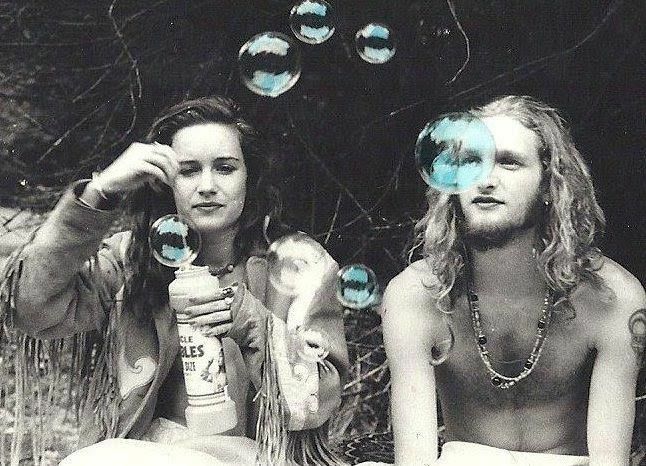 Layne Staley was never married but was romantically involved with a lot of women while he was alive. He almost married Demir Lara Parrot who he dated for a long period of time (1989-1994), sadly had to call off their engagement in 1994. Two years after their relationship went sour, Parrot died of an inflamed heart after she overdosed on heroin. Demir Lara Parrot’s death affected the singer’s life as he became more introverted, a loner and also fell into depression. In fact, sources say that he was also placed on suicide watch. Meanwhile, Layne was no saint when it came to taking toxic substances as he was also a drug addict while he was alive. Three years after Parrot died, he couldn’t get over her death and also avoided being seen. He often locked himself in his apartment consuming drugs and self-medicating. When it looked like he was better, he preferred painting his room and playing video games than socializing with others. In 2001, Layne agreed to go for rehabilitation after he was persuaded by a few of his friends, unfortunately, he never went and on April 19, 2002, his body was found in his home by his mom and her ex-husband, Phillip Blair after the police contacted them to say that the singer hadn’t used any of his earnings from in his account in over two weeks. An autopsy which was carried out on the deceased revealed that he died two weeks away from the day his body was discovered and the cause of death was said to be of an acute intoxication as a result of a combination of heroin and cocaine consumed by the deceased. It was quite devastating that the handsome man who everyone knew to be Layne Staley was beyond recognition when his body was found in his home. While he was alive, he was quite a good looking the young man who most women could die for. He stood at 6 feet 1 inch and was also noted for his many piercings and shades on stage.